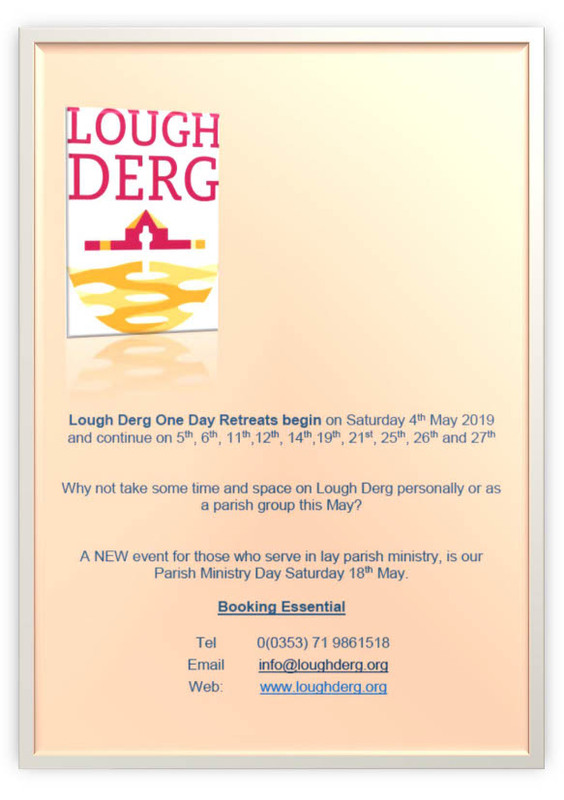 Lough Derg One Day Retreats begin on Saturday 4th May and continue on 5th, 6th, 11th,12th, 14th,19th, 21st, 25th, 26th and 27th. 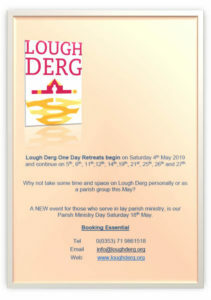 Why not take some time and space on Lough Derg personally or as a parish group this May? A NEW event for those who serve in lay parish ministry, is our Parish Ministry Day Saturday 18th May.